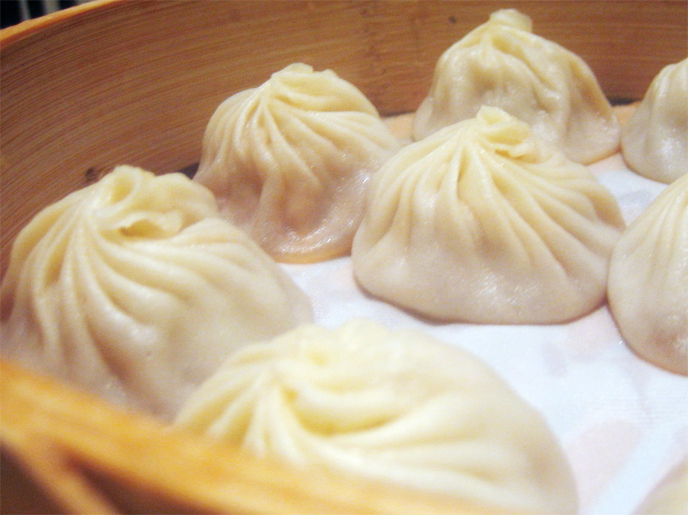 Where is the best Shanghai dumpling in the US? Well, I can't imagine any restaurant's dumplings top Din Tai Feng's in Arcadia (near Los Angeles), CA. Simply put, Din Tai Feng's dumplings should receive at least one Michelin star in terms of their taste. Actually, the HK branches of Din Tai Feng did received one Michelin star. The founder, 楊秉彝, is originally from China. During the Chinese civil war, he immigrated to Taiwan at the young age of 21. After working for a cooking oil retailer for a decade, he opened one with his wife after his boss' business folded due to bad investment. At first, his cooking oil retailer was doing well. But slowly, due to changing habit of the way people purchase cooking oil (bottled), his store's business started to suffer. To survive, he sold Shanghai dumplings on the side. His Shanghai dumplings business soon took off. Smartly, he closed his cooking oil retailer and concentrate on his Shanghai dumplings business. The store he opened in 1958 in Taipei still exist today. I just love love love their dumplings. The difference between their dumpling versus say Shanghai dumpling at Yang Sing restaurant in SF (which is good) is like comparing Coach bags versus Prada bags. They are just in different league. Din Tai Feng's Shanghai dumplings' skin are al dente. They have a certain fitness to them which most places' don't have. These Shanghai dumplings also come in crab meat flavor. A bit unusual to say the least as traditionally, Shanghai dumplings don't contain crab meat. It would be a toss up for me when compare these two flavors as to which one is my favorite! Unfortunately, US branches do not carry the black truffle edition of these Shanghai dumplings. It's a travesty if you ask me! Din Tai Feng is literally all over the world. Besides two US branches in Arcadia, there is also one in Seattle. In addition, you can find these delectable Shanghai dumplings in HK, Japan, Australia, Indonesia, Malaysia, China, Singapore, Thailand, and South Korea!! It was good when I went this past summer, but the long wait was terrible. Not worth an hour and a half wait. Nothing even close in the Bay area, the chinese food here is just mediocre at best.